With Summer approaching, everyone seems to be jumping on the organizational band wagon. New closets, N ew garage systems, New organized cabinets. You name it, it is getting organized. What I am finding though is that people want to install new systems without first deciding what is actually staying. In order to create a functional organized space, you have to know what you are designing the space for. 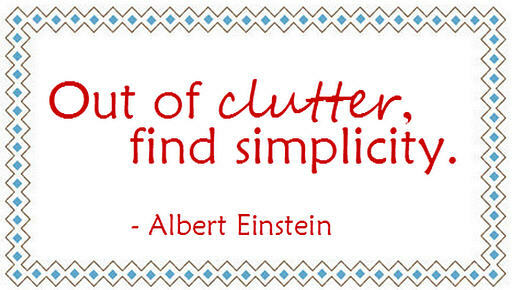 Organizing is not simply throwing things away and clearing a room or drawer. To get organized, there is a process to follow. The first step is integral to obtaining organizational success: The Purge. The Purge is important because it allows you to touch every item and see what you have. Be patient because this step will create more of a mess before you can visualize your organized results. Label boxes/bags “donate”, “relocate”, “trash”, “keep”. Solicit help from a Professional Organizer to help sort through items. Organizers will keep the emotional attachment in check and ensure the process moves forward. Once you have your piles separated, you can see what items are staying and now design a plan to organize your space. Measure your space and take pictures. Search organization websites and walk through organization stores, like The Container Store, to get ideas on how best to create a functional system that meet the needs of you and your family. Congratulations! You are now one step closer to organized heaven! (and yes, it does exist).